» Dr. David Minkoff: Mind Your Immune System, Tips For Master’s Athletes (From A Master), and Why You Need To Take Your Amino Acids! 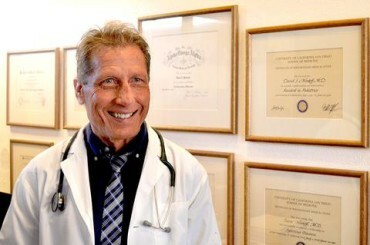 Dr. David Minkoff is an alternative health practitioner and triathlete based in Florida. At 69 years young, he has completed 42 Ironmans and feels healthier than ever. He was also Endurance Planet’s resident doctor for our Ask the Doc shows back in the day (see archives). On this show we catch up with David, talking about his alternative health practice, training and racing, and supplements, including a refresher on amino acids like PerfectAmino for our new fans! How Dr. Minkoff got into alternative medicine and the story of his wife’s amazing recovery from a debilitating autoimmune condition. How to keep a robust, strong immune system that does not go into overdrive. Are autoimmune conditions on the rise, and if so why? Identifying toxins in our environments and bodies. Risks of glyphosate and other chemicals laden in foods. The importance of a clean organic diet and knowing the source of your food. If you’re healthy you can “get away” with a bit more like eating out and not eating entirely organic, but if your health needs work then go all in until you’re better. Once you’re healthy, can you resume eating foods that once were triggers? it depends. Signs to tell if you’re in good health or in need of detox and support. Dr. Minkoff has completed 42 Ironmans and is training for #43! He has dabbled with MAF–his thoughts as a master’s athlete and how he’s modified it to fit his needs and make progress. The ability to push hard and reach very high intensities in short races (i.e. 170+ HR in a sprint triahtlon run). Why this is so good for athletes, young and old but not to be overdone. What’s the difference between EAAs and protein in food? Digestibility of protein from food – if you’re on anti-acids you may not be getting adequate protein from your food. How EAAs have specific benefits to low carb athletes, those looking to control carbs, and those doing IF or fasting. Keto athletes may need to watch protein, but EAAs are ok and won’t spike glucose. Keto for men vs. women. Take 10 or more if you’re over 120 lbs. Taking extra will not have an adverse effect. Best to take before exercise. EAAs role in mitigating central fatigue so you can go longer. Is PerfectAmino safe for pregnant women? Yes, and recommended!